As the Clock strikes 12 and the old year ends, we’d love you to celebrate with your family and friends. We promise you’ll have a blast as you ring in the New and say goodbye to the past. It just wouldn’t be right if you were not with us at the Best Party in Town to have a blast. As always, this year also the party is a heady mix of breathtaking fireworks, delicious food, rocking music. As in previous years, this year also DJ Jay-N will be enthralling us with his signature foot tapping numbers; and with a 2500 sq. ft. dance floor; revelers can let down their hair and dance into the night with complete abandon. A buffet of mouthwatering delicacies from Ravine’s very own “Melting Pot” restaurant has been planned, to keep you satiated through the night. At midnight, the night sky over the breathtakingly beautiful Dhom Dam valley will be lit up with the most amazing fireworks. So what are you waiting for? 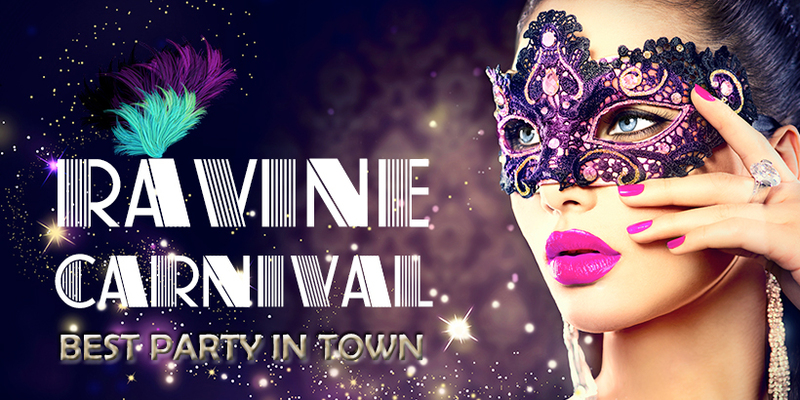 Book your tickets for the Ravine Carnival right now. Adult – Rs. 3000/- Per Couple. Adult – Rs. 4000/- Per Couple.